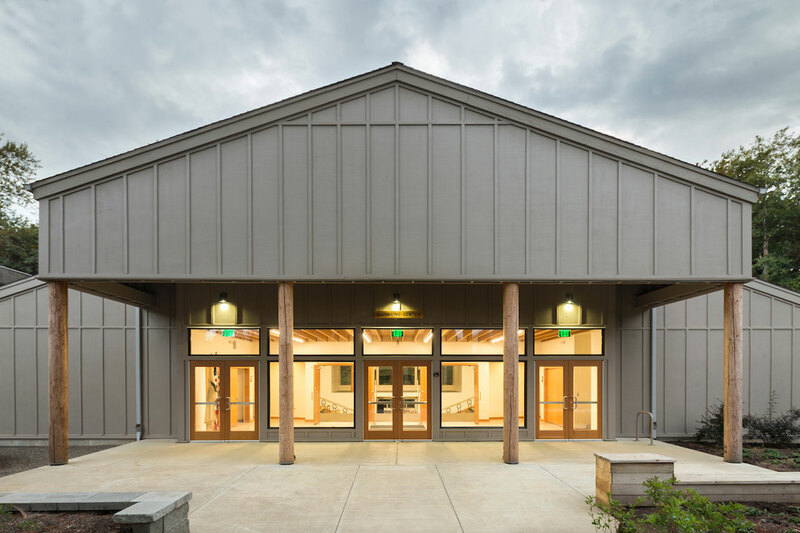 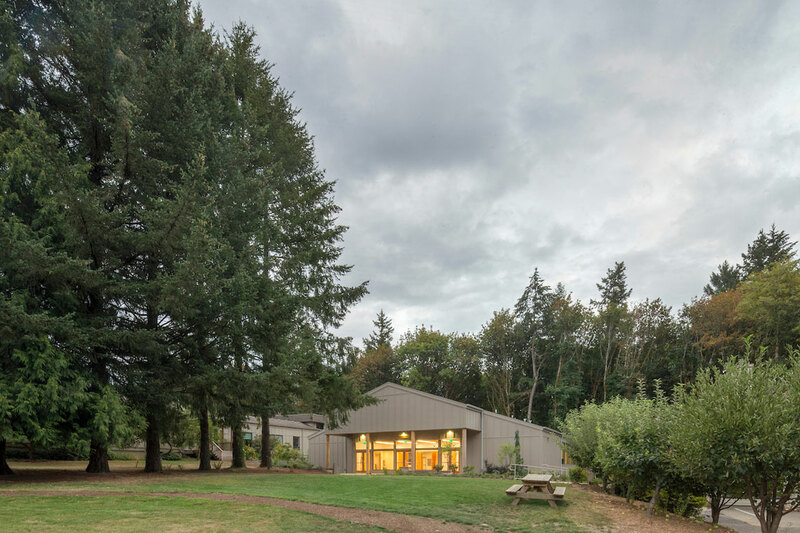 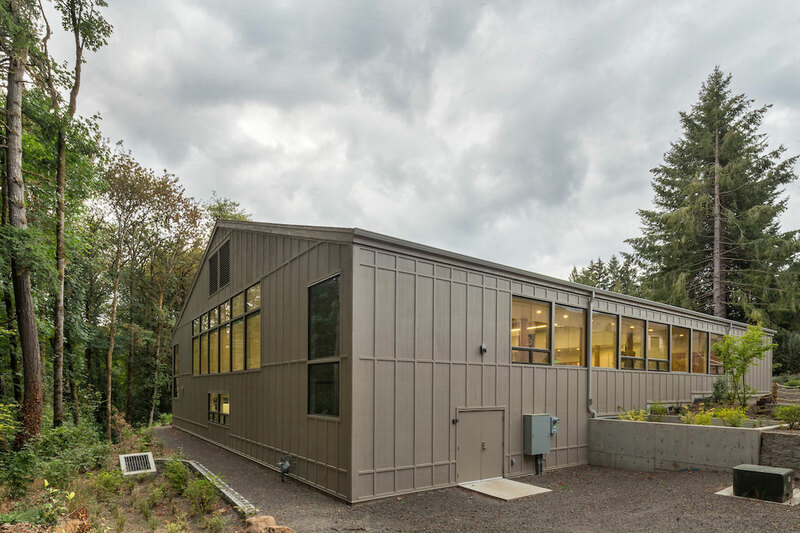 Webster Wilson Architect is the Architect of Record for the new Gathering Center for the Arbor School of Arts & Sciences, an independent K-8th school, located in wooded farmland near Portland. 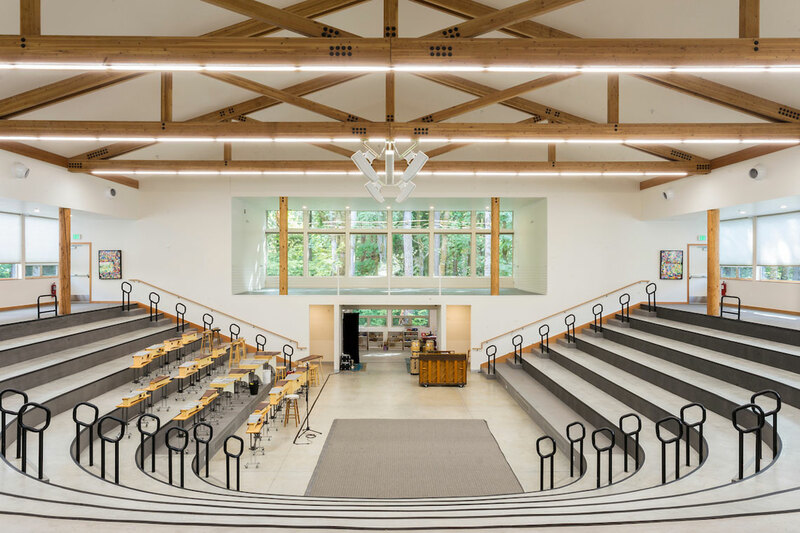 The design team was tasked with creating a multi-function performance hall for a 500 person capacity. 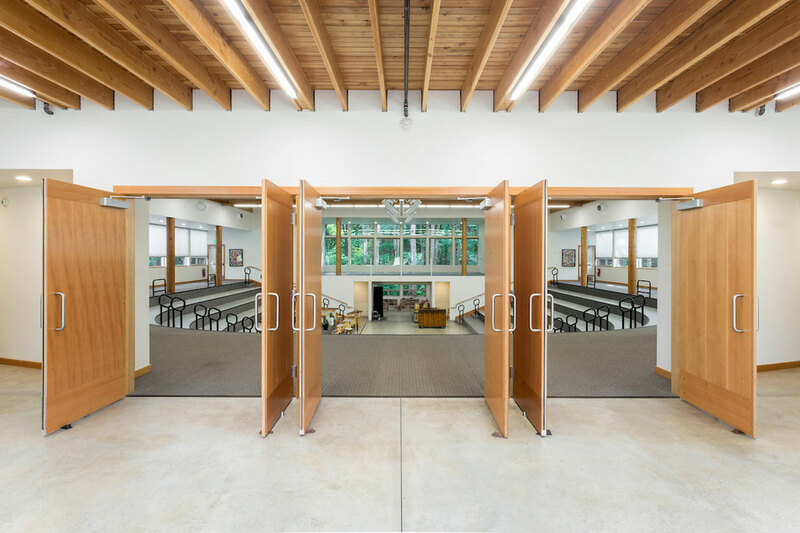 The space needed to be flexible and able to accommodate theater productions, music classes, graduations and lectures. 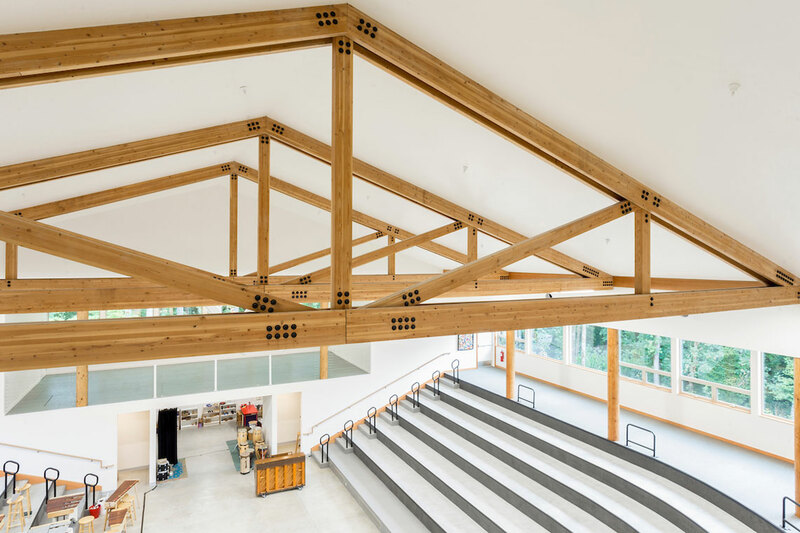 The architecture evokes the simple vernacular language of the campus, with honest structural expression and largely wood material palette in its sloping site.